for many years before being safely adopted as a dry cleaning solvent. Our new solvent is 100% biodegradable and goes back to where it came from. Our state-of-art dry cleaning system, along with our new dry cleaning solvent, removes far more soils and impurities from your garments than any other dry cleaning system. As a result your garment will look much whiter, brighter, softer, and they are much healthier. Also our new cleaning solvent helps to restore garments’ original color, shape and feel. All the benefits of clean clothes without the “perc” – this was the title of the Fairfield Minuteman article about us. 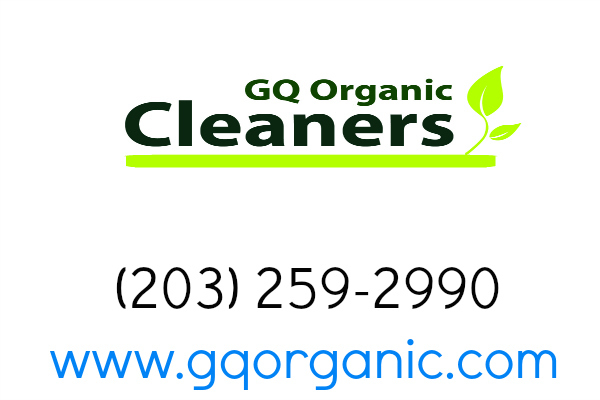 Conventional dry cleaners use the solvent, “perc” (perchloroethylene), a hazardous environmental pollutant linked to cancer and neurological damage. We are different. We use the FEORI dry cleaning system that uses ice water as a solvent. The method is environmentally safe, sustainable, and efficient while helping to retain the original color and condition of fabrics. We use non-toxic, neutral detergents made with natural ingredients that are safe for us and the environment. Our dry cleaning system is excellent for people with sensitive skin or allergies. We have to put in more effort than people in conventional dry cleaning businesses to ensure the high quality service, but we know that it is well worth it. It is better for customers and it is safer for all of us! Linda, September 17,2015 – Dry Cleaning Fairfield, Ct.
some vintage designer clothing items. Jackie is so pleasant and conscientious. I highly recommend them…..you won’t be sorry!!!! Jackie is just great! I always get my attire in excellent condition and their organic solution is something you can really see a difference in. Totally recommend them.